Despite achieving glorious feats, the International Women's Cricket team of India or Team India Women hardly makes headlines, which are dominated by the men's side. Although the team had been playing quite a few matches both domestic as well as out of the country, it only got official recognition from the BCCI a few years ago. 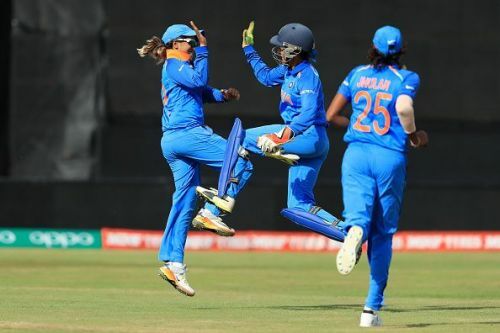 But as the preamble of cricket says, 'show self-discipline even when things go against you', Team India Women has shown considerable poise and valour, both off and on the field. How invaluable is an MCC life membership? The MCC, or the Marylebone Cricket Club, awards honorary life memberships to some of the finest players the sport has seen. It is considered a list of the who's who of cricket, players who will go down in history. It is an honour denied to many and bestowed to a select few. As of 2017, 358 players, both male and female, from cricket boards who are a member of the ICC, have received the honour. Out of these all-time greats, 32 have adorned the blue jersey either as a player or captain. The first name from India made it to this enviable list in the year 1969 when MCC honoured the glamour boy of Indian cricket, the noted southpaw and former Indian captain, Nari Contractor. It was after a long wait of 47 years that the MCC's Honorary Life Members list saw female cricketers from India honoured.